Major General Louis McCarty Little was born in New York City, January 16, 1878. He received his early education at Saint Gregoire de Lycee in Tours, France, and completed Rogers High School, Newport, Rhode Island. In 1899, he was graduated as a civil engineer from the Rensselaer Polytechnic Institute at Troy, New York. On July 15, 1899, General Little was appointed a second lieutenant in the United States Marine Corps from the State of Rhode Island. Subsequently, he was promoted to first lieutenant, July 23, 1900; captain, March 3, 1903; major, August 29, 1916; lieutenant colonel, March 26, 1917; colonel (temporary) July 1918; colonel (permanent) July 14, 1921; brigadier general, January 1, 1934; and major general, July 27, 1935. General Little's first service under fire came during the summer of 1900, when he was a member of the First Brigade Marines, China Relief Expedition, which fought its way to the beleaguered foreigners in Peking, China, during the Boxer Rebellion. While on this assignment, he was promoted to first lieutenant. Following the completion of the Boxer campaign, he served in the Philippines until 1902, when he embarked with the battalion of Marines organized for possible service on the Isthmus of Panama; the battalion not being required in Panama, it participated in winter maneuvers in West Indian waters. Following his promotion to captain, he served at sea on board the USS Panther, the USS Dixie, and the USS Rhode Island, and ashore in this country and in the West Indies. He was on detached duty with the First Regiment, Expeditionary Brigade, which landed at the Canal Zone from December 1909 to April 1910. He was again on temporary foreign shore duty with the Provisional Brigade of Marines which landed in Cuba, March 15, 1911, and remained there for several months, returning to the Marine Barracks, Philadelphia, in July 1911. In August 1913, he returned to China, this time as a language student while attached to the American Legation in Peking. He was promoted to major in 1916, and in July 1917, having completed his tour in Peking, he was detached to the Asiatic Fleet for duty as Fleet Marine Officer, and promoted to lieutenant colonel. In October 1918, Lieutenant Colonel Little was ordered to London, England, for duty on the staff of the Commander in Chief, U.S. Naval Forces operating in European Waters. He was awarded a special letter of commendation by the Secretary of the Navy for services rendered in this connection. In July 1919, as a colonel, he joined the First Provisional Brigade of Marines in the Republic of Haiti, where he commanded the Eighth Regiment and Troops in the Field until 1921. For his service in Haiti, Colonel Little was awarded the Medal of Honor and Merit of the Republic of Haiti, with the following citation: "An officer of a generous and courageous character. Acquired great popularity in the regions where he had combated to reestablish order. He organized his command with great energy and with an activity that was beyond all expectations." Colonel Little entered the Naval War College, Newport, Rhode Island, on his return from Haiti in June 1921. After completing the course, he joined the Army War College, Washington, D.C., on August 15, 1922, and was awarded his diploma from the college in 1923. He was next assigned to the staff of the Navy War College at Newport, where he served until May 31, 1924. The following month, he was again ordered to foreign duty, as Commandant of the American Legation Guard, and Senior Commandant of the Legation Guards at Peking. For excellent services rendered at Peking, he was awarded a letter by the Charge d'Affaires of the American Legation. 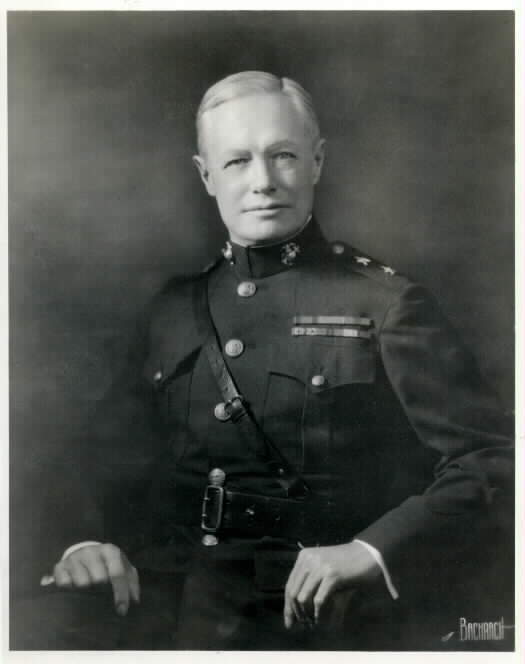 On August 4, 1927, Colonel Little was ordered to Headquarters, Marine Corps, Washington, D.C., as Director of Operations and Training. He held that post until June 1931 when he again went to Haiti to serve as Commanding General, First Marine Brigade. Upon withdrawal of the Marines from Haiti, he returned to the United States in August 1934 as a brigadier general, for duty at Headquarters Marine Corps. He was awarded a special letter of commendation by the Secretary of the Navy for his service in Haiti from June 3, 1931 to August 15, 1934. In June 1935, General Little was appointed Assistant to the Major General Commandant John H. Russell, and the following month promoted to major general. He served in the same capacity under General Russell's successor, General Thomas Holcomb, the seventeenth Commandant of the Marine Corps. In June 1937, General Little was named Commanding General of the Fleet Marine Force and the Marine Corps Base, San Diego, California. On September 25, 1939, he began his last tour of active service in the Marine Corps, serving as Commanding General, Marine Barracks, Quantico, Virginia, until his retirement, February 1, 1942. The general's medals and decorations include: the China Campaign Medal (1900), the Philippine Campaign Medal (1901-03), the Expeditionary Medal with four bronze stars (Panama, 1903 and 1909; China, 1913-14; Haiti, 1920-21; China, 1924-27), the World War I Victory Medal with Overseas Clasp, the Haitian Campaign Medal (1919-20), the American Defense Service Medal, the Word War II Victory Medal, the Haitian Medal of Honor and Merit in th rank of "Grand Officer" with Diploma, and the Haitian Medaille Milataire (1920). 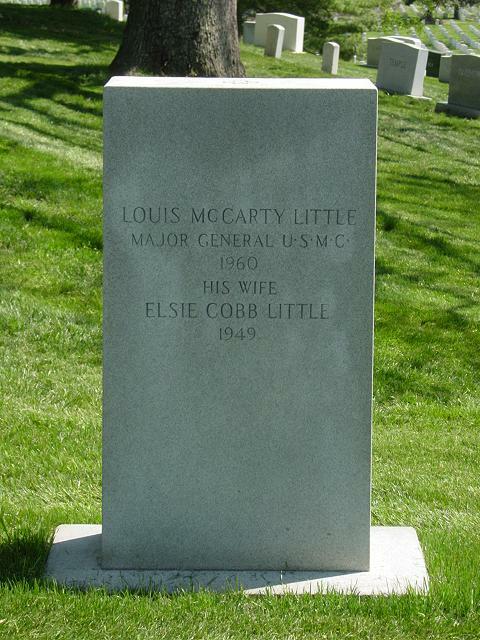 General Little's wife, the former Elsie Cobb of Aiken, South Carolina, and Washington, D.C., died November 20, 1949 in Washington. She is buried at Arlington National Cemetery. 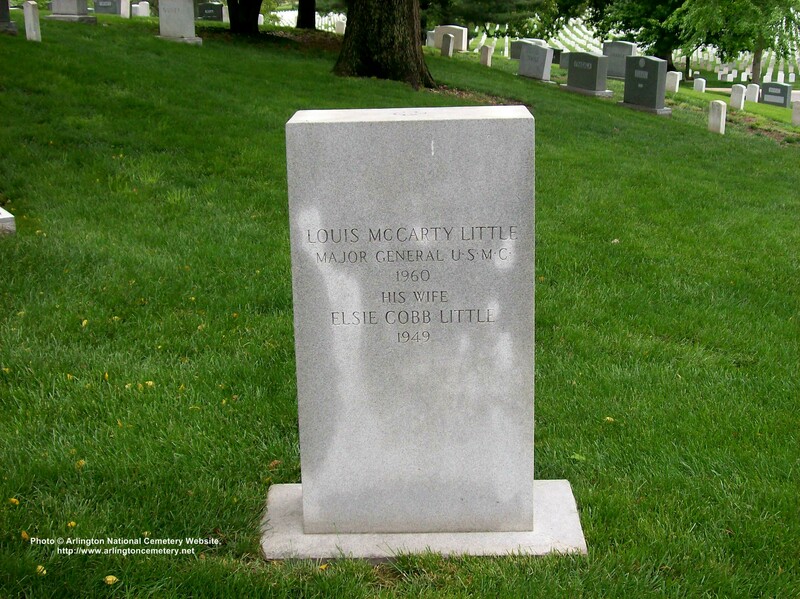 General Little died in Newport, Rhode Island, on July 16, 1960 and was also buried at Arlington National Cemetery.